Sofia Vergara went into the weekend with a big legal victory under her belt. “Modern Family” actress Vergara scored a win in the battle with her ex, Nick Loeb, after a judge granted the actress’ motion to dismiss the lawsuit brought against her over her frozen embryos. In December, as part of a protracted battle between Vergara and Loeb over the custody of the frozen embryos, the actress was sued by two of the embryos resulting from her relationship with Loeb. “Therefore, Emma and Isabella seek that they be entrusted to their natural father Loeb, who is willing and desirous that they be born and become eligible to receive their inheritance,” the lawsuit continued. “It is unfortunate that Loeb feels the need to keep himself linked to Vergara, who is happily married, by taking up more of our overburdened courts resources, preventing judges from focusing on real legal problems. If it is really a family that Loeb wants, he should hire a surrogate and an egg donor and create one without dragging Vergara through another unnecessary legal battle,” Silberberg continued. 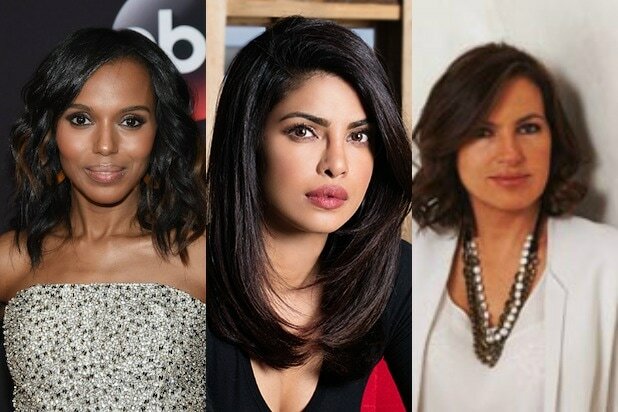 Priyanka Chopra of ABC's FBI drama "Quantico" is the latest entry to Forbes' annual list of the highest-paid TV actresses. The list -- which includes both TV salary as well as product endorsements -- has been led for five years by the No. 1 person. Click on to find out more.